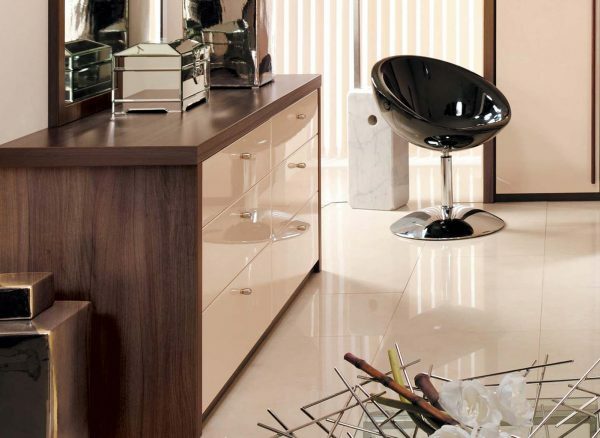 Capri in High Gloss Cream and Dijon Walnut is the epitome of simple glamour. Its sleek, lustrous finish and precise, refined design is nothing short of sophisticated. It’s the perfect way to make a modern statement in your bedroom. 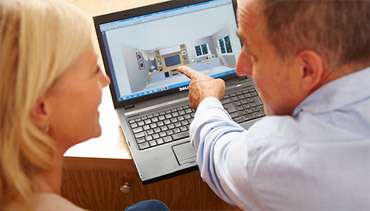 Behind the subtle fascia fronts, you’ll discover full depth storage space that can be tailored to include your choice of hanging rails, glass-fronted drawers and softly gliding pull-out shoe and accessory trays. The lustrous shine and light tones of the High Gloss Cream creates a wonderful contrast to the deep colouring of the Dijon Walnut finish. Together they add up to a contemporary bedroom that is both elegant in style and bold in colouring. 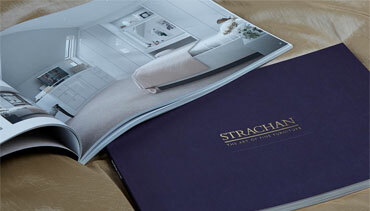 Your Strachan wardrobes can be configured precisely to suit your individual needs. 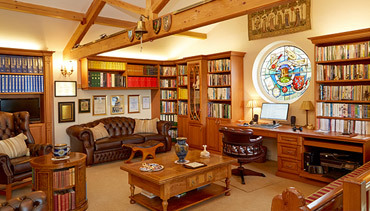 Each section is tailored both externally and internally to suit you. 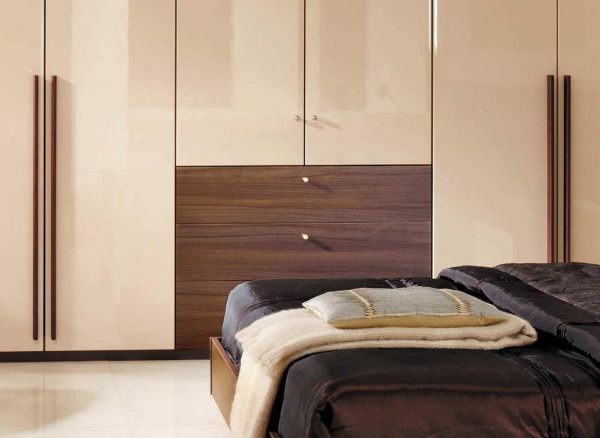 This Capri bedroom includes two full length wardrobes, which stand either side of a feature double cabinet with an integral drawer section, providing dedicated storage for all your clothes and accessories. 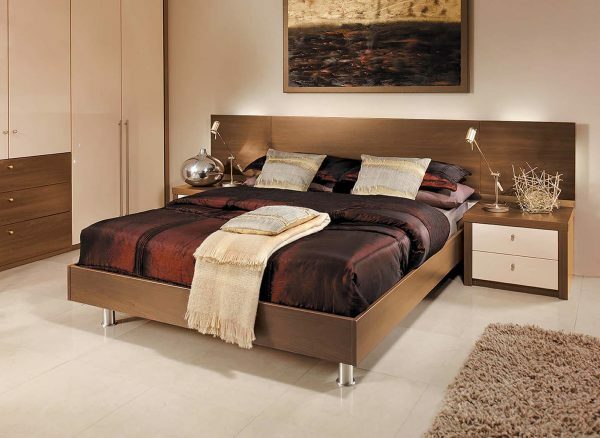 The dark Dijon Walnut wood finish delivers a strikingly modern look to this Capri bedroom. Those aesthetics are continued through into the bed frame and headboard, which has been extended across the wall to run the full length of the bed and symmetrical bedside tables.